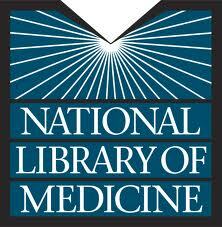 U.S. National Library of Medicine has a search page that aggregates online resources. The History of Medicine Finding Aids Consortium is a discovery tool that provides keyword search services across a union catalog of descriptions of primary sources materials found in special collections and archives throughout the United States. The consortium leads to information found in historical documents, personal papers, business records, and other sources. Finding aids provide contextual information about these collections along with detailed inventories to help researchers locate relevant materials. Currently 3,600 finding aides are indexed from 35 institutions that collect broadly in the areas of the history of medicine, allied sciences, general collections and archives. Here is the link to the initial search page: National Library of Medicine. A keyword search, 'American Civil Medicine', yielded 233 record collections and their web links. 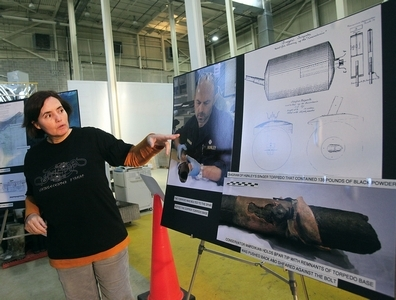 Hunley Legend Altared By New Discovery, Brian Hicks, Post and Courier, January 28, 2013. For nearly 150 years, the story of the Hunley’s attack on the USS Housatonic has been Civil War legend. And it has been wrong. Scientists have discovered a piece of the Confederate submarine’s torpedo still attached to its spar, debunking eyewitness accounts that the Hunley was nearly 100 feet away from the explosion that sent a Union blockade ship to the bottom of the sea off Charleston in 1864. Instead, the Hunley and its eight-man crew were less than 20 feet from the blast. And that changes everything about the story — and possibly even provides a clue as to why it sank. “I would say this is the single-most important piece of evidence we have found from the attack,” said Maria Jacobsen, senior archaeologist on the Hunley project. Basically, Hunley conservators found a piece of the torpedo’s copper shell, peeled back from the blast, when they removed a century of hardened sand and shell from the submarine’s 20-foot spar. The torpedo was bolted to the spar, contradicting the conventional wisdom that the torpedo was planted in the side of the Housatonic with a barb like a fishing hook, slipped off the spar and then detonated by rope trigger when the sub was a safe distance away. Shifting Sand Yield Mystery Ship Wreck On Remote Georgia Island That Likely Dates To 1800s, Associated Press, Washington Post, January 21, 2013. The odd skeleton of wooden beams barely poked above the sands, exposed just enough by wind and tides for a beachcomber to report the curious find. Fred Boyles, National Park Service superintendent on Georgia’s Cumberland Island, says the buried beams could have easily been overlooked as ordinary flotsam washed ashore on the beach. But archaeologists called to the remote Atlantic coastal island spent days last week unearthing an astonishing find: an old wooden shipwreck held together with wooden pegs, its backstory lost in time. “Someone had the foresight to say that doesn’t just look like normal wood, and thank goodness they called us,” Boyles said of the island resident, who stumbled on the wreck around Christmas. “Frankly, had I been driving on the beach, I would’ve ridden right by.” This 80-foot-long fragment of history, with some of its wooden siding still intact, is believed to date to the mid-1800s based on its construction, said Michael Steiber, a National Park Service archaeologist trying to crack the mystery of the ship’s origin. The archaeologists made copious notes during their days of excavation on the site last week. They drew maps and collected wood samples for testing. Now they are turning to the historical records for clues. Early Spanish settlers operated missions on the island for roughly a century, from 1587 to 1684. The English arrived not long after Gen. James Edward Oglethorpe founded Georgia as the 13th British colony in 1733. In the 1800s, plantations thrived on Cumberland Island until the region’s economy collapsed after the Civil War. Yet identifying the wreck is proving elusive. The story continues at Washington Post. Gettysburg Remembrance Day Has New Date, Laura Wheeler, Washington Post, January 22, 2013. In anticipation of larger than usual crowds expected at Gettysburg for the annual Remembrance Day parade, planners have moved the event to the weekend of Nov. 23, a week later than had been scheduled. This year is the 150th anniversary of both the battle in July and Remembrance Day in November, the day President Abraham Lincoln gave the Gettysburg Address. The parade is very popular with visitors and residents and draws thousands of smartly dressed reenactors who march in military units through the city. Planners say the change was made to better accommodate “lodging requirements.” Other events rescheduled for the weekend include four balls. However, the reading of the Gettysburg Address and other related events will still occur Nov. 19, the actual anniversary of Lincoln’s visit to the then-new Gettysburg National Cemetery. 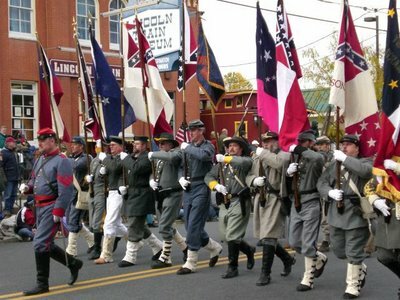 The city of Gettysburg and the National Park Service have organized numerous events for the whole of 2013 to mark the sesquicentennial year. CWL comment: No direct quotations in this article. Who are 'the planners'? National Park Service and the Sons of the Union Veterans. Yet no on record comment from them. Best guess: Department of Interior is clearing the path for a presidential visit and there would be too many men with guns in the street. VP Biden scampered out of the visitors' box during the 2012 St. Patrick's Day Parade in Pittsburgh when the Irish Brigade came within 300 yards of him. CWL marched with the Irish Brigade that day. 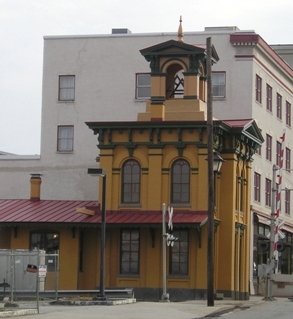 News---What Is The Value Of Gettysburg's Lincoln Train Station? With Hopes For Sale, Gettysburg To Appraise Lincoln Train Station; But Obstacles In Way Of Transfer To Park Service, from the Hanover Evening Sun and reported by the Frederick News Post, January 21, 2013. First three paragraphs: The borough of Gettysburg is once again making steps toward selling the historic Lincoln Train Station on Carlisle Street. The council voted last week to let the borough manager select an appraisal firm to determine the value of the property. "The park service is not allowed to pay a penny more than the appraised value of a property it would add to its boundary," said Council President Michael Birkner in an email. "So an appraisal is essential to make a transfer." The borough hopes to have an appraisal firm selected by February so that the borough has better guidelines heading into negotiations with the National Park Service. When talks over the sale began in 2009, the borough expected to sell the property for at least $722,000, which is about how much it cost the municipality to restore the 154-year-old building. Last Paragraph: "Congressional actions toward passage of this nonpartisan measure have been painfully slow," Birkner said, but the hope is that with the help of this new donation from the Gettysburg Foundation, the process might begin to move along. First Paragraph of the Review: Carol Reardon (Penn State Univ.) has had a remarkably wide-ranging and influential career. She has written many books and articles on the Civil War and the Vietnam War, Pickett's Charge in History and Memory perhaps the best known among them, particularly for its innovative approach to the battle at Gettysburg and its aftermath. She has also bridged the still considerable gap between academia and the public with appearances on C-Span and PBS and membership on the advisory boards of several museums and Civil War battlefield parks. Last Paragraph of the Review: With a Sword in One Hand and Jomini in the Other is a fascinating and novel work. Some may quibble over its brevity and strict focus on the Union high command. But its concise and engaging style of presentation, cogent organization, and depth of research make it a very welcome contribution among the outpouring of publications marking the Civil War sesquicentennial. Well suited to undergraduate courses and graduate seminars, it will also provide much food for thought for anyone interested in the Union's strategic decisions and the formulation of military thought in democratic societies generally. Lincoln: A Very Short Introduction, Allen C. Guelzo, Oxford University Press, 145 pp., 2 maps, ten photographs, index, bibliography, 2009, $11.95. Abraham Lincoln is one of five Americans who are known on every continent of the planet earth. Allen Guelzo considers Lincoln's beliefs regarding seven essential issues being contested during the mid-19th century. The limits of equality, the possibility of advancement, the nature of law, the hazards of liberty, the importance of debate in a democratic republic, the emancipation of slaves, and the terms of reunion in order to end of the war. Experiments in establishing democratic republics during this era had failed with the exception of the United States of America. During the 1850s it became apparent that this government was on the brink of collapse. The possibility of all men being equal was put at risk by the presence of slavery. The opportunity of all men to rise, economically and socially, was in conflict with the right to hold property in the form of slaves. Lincoln tailored and tempered his ambitions to rise in the frontier environment of a capitalistic, democratic republic. His advancement came though agriculture, transportation, retail work, military life, the practice of law and participation in local, state and national politics. Rejecting farm work, he embraced Mississippi River and Indiana commerce, militia leadership during the Black Hawk War, the bar and legislative election campaigns. In his law practice he represented both masters and runaway slaves. The natural rights of life, liberty and the pursuit of happiness, among others, were for Lincoln in direct conflict and contradicted by slavery. Hammered out in political debate, Lincoln's understanding of these natural rights were honed by his service in the courtrooms, the federal House of Representatives and the Presidency. The necessity of emancipation and the possibility of reuniting the states perplexed Lincoln. Guelzo, Gettysburg College professor and preeminent Lincoln scholar, carefully describes Lincoln's beliefs and their context within post-revolutionary America and Europe. In clear and concise language, the author clarifies what Lincoln believed, thought and practiced. The Old Testament declares that out of the heart flows the issues of life. Guelzo's very short introduction to Lincoln's beliefs and his struggle to conform his life's work to them is a thought provoking revelation for 21st century readers. Lincoln: A Very Short Introduction, is one of over 200 Very Short Introductions offered by Oxford University Press. CWL recommends this series; it well rewards the brief amount of time it takes to read one of the series. Curious about Freud, Jung, Islam, History, Dreaming, or the American Presidency? There is a Very Short Introduction for you. U.S. Poet Laureate Natasha Trethewey will read selections from her Pulitzer Prize-winning collection "Native Guard," in commemoration of the sesquicentennial of the Civil War and in conjunction with the Library of Congress exhibition "The Civil War in America." The reading will be at noon on Wednesday, January 30 in Room 119 on the first floor of the Thomas Jefferson Building, 101 Independence Ave. S.E., Washington, D.C. A book-signing will follow. Poet Laureate Natasha Trethewey Will Read Civil War Poems, Library of Congress Today News, January 4, 2013. Sponsored by the Library’s Poetry and Literature Center, the event is free and open to the public. Tickets are not needed. In Native Guard, Trethewey uses poetry to give voice to the Louisiana Native Guards, one of the first regiments of black soldiers recruited by the Union Army during the Civil War. Trethewey, in 2001, had researched "Native Guard" using primary-source documents from the Library’s Manuscript Division and later spent time writing the book in the Library’s Main Reading Room. Trethewey, named Poet Laureate in June 2012 by Librarian of Congress James H. Billington, is the author of four poetry collections and a book of nonfiction. In January 2012, she was named Poet Laureate of Mississippi for a four-year term and will continue in the position during her tenure as U.S. Poet Laureate. The Civil War in America exhibition, which commemorates the sesquicentennial of the war, features more than 200 unique items that reveal the complexity of the Civil War through those who experienced it firsthand. Through diaries, letters, maps, song sheets, newspapers and broadsides, photographs, drawings and unusual artifacts, the exhibition chronicles the sacrifices and accomplishments of those—from both the North and South—whose lives were lost or affected by the events of 1861-1865. The exhibition, which runs through June 1, 2013, will display for a limited time until February18 the first draft of the Emancipation Proclamation, handwritten by President Abraham Lincoln, who read the document to his cabinet on July 22, 1862. The Civil War in America is free and open to the public, 8:30 a.m. to 4:30 p.m., Monday through Saturday, in the Southwest Exhibition Gallery in the Thomas Jefferson Building, 10 First St. S.E. in Washington, D.C., The Poetry and Literature Center at the Library of Congress fosters and enhances the public’s appreciation of literature. The center administers the endowed poetry chair (the Poet Laureate Consultant in Poetry), and coordinates an annual literary season of poetry, fiction and drama readings, performances, lectures and symposia, sponsored by the Library’s Gertrude Clarke Whittall Poetry and Literature Fund and the Huntington Fund. The Library of Congress, the nation’s oldest federal cultural institution and the largest library in the world, holds more than 155 million items in various languages, disciplines and formats. The Library serves the U.S. Congress and the nation both on-site in its reading rooms on Capitol Hill and through its award-winning website. Library of Congress' website. News---Will Gettysburg's Old Cyclorama Building Be Demolished Before The 150th Anniversary? Below is the contents of an email blast by the Gettysburg Foundation that arrived Januarary 11th. It came as an email labeled Special Preservation Update, January 2012. "The National Park Service has issued a decision regarding the future of the Cyclorama building at Gettysburg National Military Park and concluding the park's environmental assessment (EA) planning process. The decision document, known as a Finding of No Significant Impact, or "FONSI," calls for demolition of the Cyclorama building in order to rehabilitate North Cemetery Ridge on the Gettysburg battlefield to its historic 1863 battle, and 1864 - 1938 commemorative-era appearance." "In March 2010, the United States District Court directed the NPS to undertake a "site-specific environmental analysis on the demolition of the Cyclorama Center" and to consider "non-demolition alternatives" to its demolition before "any implementing action is taken on the Center." Accordingly, the NPS initiated the EA. In 1962 the Cyclorama was built on the center of the Union battle line on Cemetery Ridge near where Union forces repelled Pickett's Charge. The building was designed by Richard Neutra and is eligible for the National Register of Historic Places. The park's nonprofit partner, the Gettysburg Foundation, has funds for the demolition of the building which would begin this winter." "The FONSI for the environmental assessment for the Final Disposition of the Gettysburg Cyclorama Building will be available for public review at here. A copy will also be available for review at the Adams County Public Library reference desk at 140 Baltimore Street in Gettysburg. Gettysburg National Military Park is a unit of the National Park Service that preserves and protects the resources associated with the Battle of Gettysburg and the Soldiers' National Cemetery, and provides an understanding of the events that occurred there within the context of American history." The Gettysburg Foundation's website, the Gettysburg National Military Park's website, and the Gettysburg Rangers' From The Fields of Gettysburg weblog have no additional information. CWL will likely be in Gettysburg on the third weekend in January and will drop by the Adams County Library on Baltimore Street to locate the report. The above image's source is from the Gettysburg Foundation email Speciaal Preservation Report, January 2012. During the past two years the entire building has been obscured by vines, trees and foliage. "As the 150th anniversary year of the Battle of Gettysburg begins, we are starting it off with a sale on The Gettysburg Magazine. Each issue is 128 pages with no advertising, so each issue is like a book on America's most famous battle. If you want to get some of the best material being published on the battle, now is a great time to do it. Through the end of January, individual issues are just $4.00 each." "We also have bound volumes. Each are newly printed books that contain eight issues of the magazine (1,024 pages). We have three bound volumes. Bound Volume 1 contains issues 1-8, Vol. 2 issues 9-16, and Vol. 3 issues 17-24. Regularly $80.00 each, the bound volumes are now on sale for just $50.00. That's a tremendous amount of great material on the battle, all for a great price." Gettysburg Magazine is essential for all students of the battle. It covers major and small actions of the battle and campaign, significant artifacts and personalities, and major topics usually found few other places. Many of the articles focus upon on brigades activities on the battlefield or campaign. Topics have included the Federal Signal Corps, prisoners of war, Federal and Confederate field hospitals furing the battle, civilian farms and civilians during campaign and the Army of the Potomac's military intelligence staff. Since its inception, Gettysburg Magazine has offered detailed maps on all segments of the campaign. CWL has taken the magazine to the battlefield and has walked the routes of the soldiers as described in the articles. These walks are very helpful and are similar to the walks presented by the park's rangers during the battle's anniversary. The magazine is essential for those preparing for the Gettysburg Licensed Battlefield Guide examination. Here is the link to Gettysburg Magazine's internet home page and here is the internet link to the magazine's publisher, Gatehouse Press. Above image is the cover of the January 2013 issue; here is the table of contents for the issue. Labels: Battle of Gettsyburg, Gettysburg Exam.